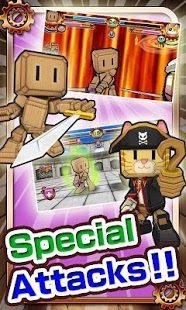 In “Battle Robots!” you will control a cute but deadly robot in a quest to beat all 120 stages. 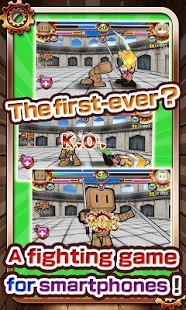 The game is controlled horizontally, using an interface unique to this smartphone-exclusive 3D fighting game. 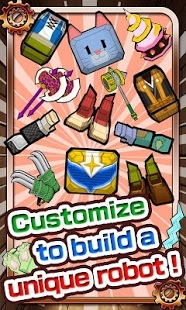 Defeat enemies and collect the parts they drop to customize your Battle Robot, as you face stronger opposition! Playing the game is easy! 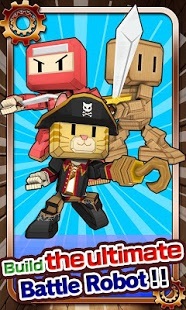 Touch and swipe the screen to attack, defend, and use special attacks! You pay 1 coin to play each stage. If you have less than 5 coins, you will earn 1 coin every 30 minutes, so don’t worry about running out of coins. There are 120 stages, with each stage comprised of 3 intense battles! If you win all 3 battles, you can advance to the next stage. You will encounter some powerful bosses! 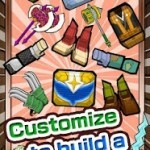 In order to defeat them, customize and strengthen your Battle Robot. Make sure to obtain parts that enemies drop after you defeat them. If you lose a battle you will not obtain the parts! You can pay 1 coin to retry a battle you that you lost, so don’t give up! There are 5 types of parts to collect: Head, Body, Arms, Legs, and Weapons. Each part will affect your offensive and defensive stats as well as your appearance. The type of weapon you choose also affects your attack and special attack animations. There are 6 types of weapons. 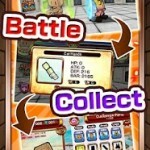 You can focus on landing a critical blow or overwhelming your enemy with a barrage of attacks. • The first horizontally controlled game from Kuma the Bear, an interface exclusive to smartphones! • Simple controls involving touching and swiping the screen. 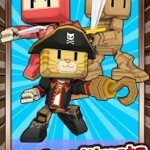 • Gorgeous graphics for attacking, defending, and special attacks! • High light attack: Touch the enemy’s upper body. Light damage, but you can land multiple blows. • Low light attack: Touch the enemy’s lower body. Light damage, but you can land multiple blows. 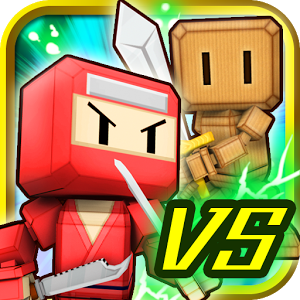 • High heavy attack: Swipe the enemy’s upper body. You will unleash a damaging blow. 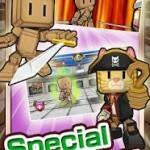 • Low heavy attack: Swipe the enemy’s lower body. You will unleash a damaging blow. • Blocking: Touch the guard button. As long as your guard meter (upper portion of the screen) isn’t empty, you will block an enemy’s attacks. • Back step: Touch the back step button. You will put some distance between the enemy and yourself, evading their attacks. 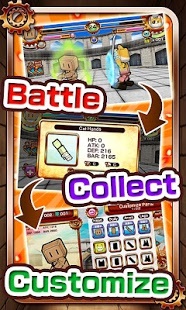 • Special attack: When your special meter (upper left side of the screen) is maxed, you can touch the meter to trigger a powerful attack, complete with its own unique animations. • HP: Your health. If this reaches 0, you lose the battle. • ATK: Your offense. The amount of damage you deal. • DEF: Your defense. The amount of damage you take. • BAR: Your blocking. This determines how large your guard meter is. • Swords: A basic weapon that will charge your special meter quickly. • Big Swords: Slows you down, but has the ability to unleash big damage. • Hammers: Similar to big swords in that they do great damage but slow you down. Useful in wearing down an enemy’s guard meter. • Clubs: A quick weapon similar to swords, allowing you to land multiple blows. • Gloves: They do little damage, but are very fast. Use them to overwhelm an enemy. • Two-handed: Powerful weapons that combine the damage of swords and the quickness of gloves.